(MIS) simply describes our innovative surgical techniques that minimize tissue trauma during a spinal surgery. In a nutshell, minimally invasive spine surgery, or MISS, describes the innovative surgical techniques that minimize tissue trauma during a spinal surgery. In the past, spine surgery has been done in an "open surgery" format, meaning that the area being operated on is opened with a long incision to allow the surgeon maximum workspace and visibility during the operation. However, this process can often lead many painful and unnecessary complications as well as longer recovery periods. In traditional open spine surgery, the surgeon will make a 5-6 inch incision down the back and moves the muscles to the side in order to properly see and operate on the spine. However, this technique often uses more anatomy than the surgeon actually requires and can have some serious drawbacks. One of the biggest issues is that the pulling back, or retraction, of the muscles can damage the soft tissue and lead to longer recovery times for patients. Fortunately, thanks to exciting advances in medical technology, open spine surgery is becoming a thing of the past and minimally invasive techniques are quickly rising to the forefront. 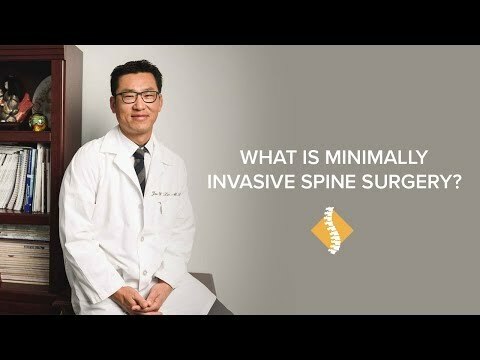 Minimally invasive spine surgery was designed to require a much smaller incision which, in turn, leads to less muscle damage, less bleeding, less time in the hospital and a shorter recovery period. Even more recently, Robotic Spine Surgery has become the cutting-edge of minimally invasive spine surgery. Minimally invasive spine surgery can address a number of spinal issues including Spinal Fusion and Decompression surgery. Using minimally invasive techniques designed to minimize surgical impact and maximize recovery speed, we offer a range of surgeries to repair disc issues, including posterior (PLIF), Transforaminal (TLIF), Anterior (ALIF), and Interlaminar (ILIF) Lumbar Interbody Fusions. These options which offer a range of approaches to treating structural back issues surgically, depending on the the patient and the condition. We also offer an innovative technique know as XLIF, or Extreme Lateral Interbody Fusion, which may allow for a faster, less painful recovery process by avoiding surgical impact on the major muscles of the back. 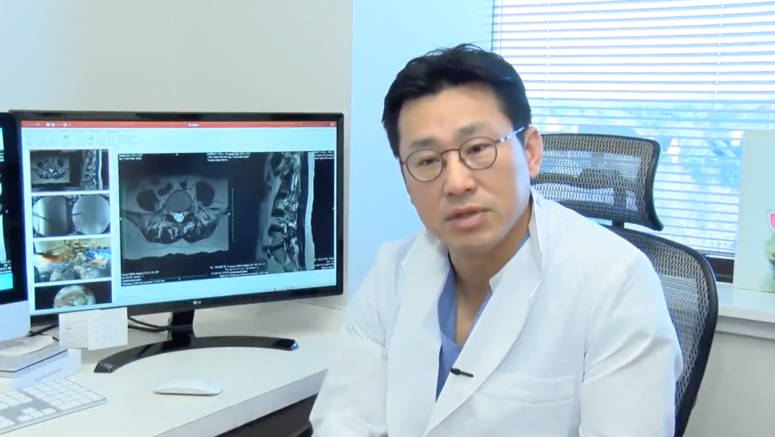 Minimally Invasive Spine Surgery benefits patients by reducing recovery times, as well as hospital stays. By minimizing localized trauma as a result of surgery, MISS promotes a more rapid healing process by giving each patient an easier path to recovery. Prior to coming to Dr. Lim, I tried acupuncture, physical therapy, and everything else I could on my own. I decided it was time to see a surgeon. When we saw Dr. Lim, I got MRIs done and he said that it would require major surgery. Soon after surgery I began to feel tremendously better.